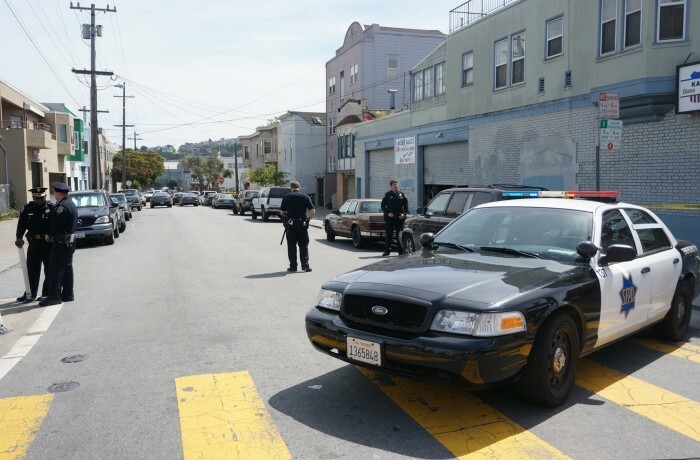 Two San Francisco police officers fatally shot a Latino homeless man just after 10 a.m. on April 7 on Shotwell Street between 18th and 19th streets in the Mission. 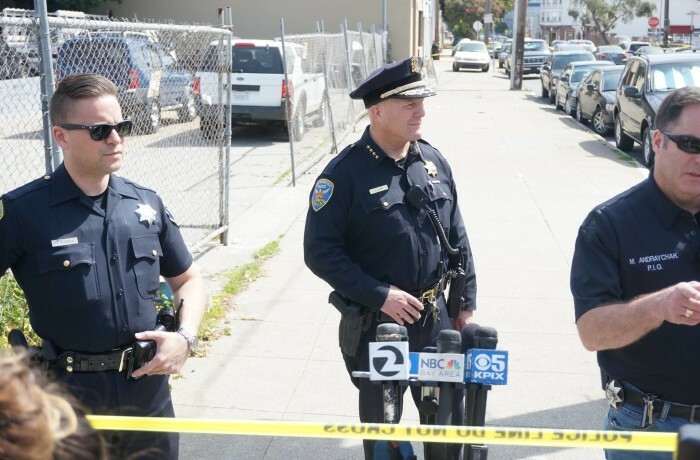 The 45-year-old man, identified as Luis Gongora, who according to witnesses was a monolingual Spanish speaker, was taken to San Francisco General Hospital and rushed into surgery. 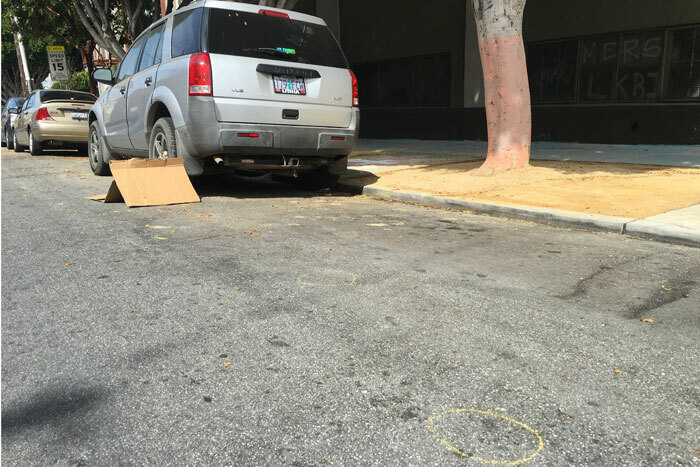 He was confirmed dead at approximately 1 p.m.
A witness who requested to remain anonymous, told El Tecolote the officers shot four bean bag rounds that took Gongora to the ground. The witness said Gongora quickly jumped up in a heated manner with something black in his hand, and the officers responded by telling him to put it down. A short time later the officers shot Gongora seven times. The same witness said Gongora had been a resident of the homeless encampment for about six months after being evicted, and often kicked a soccer ball against the wall along the street. 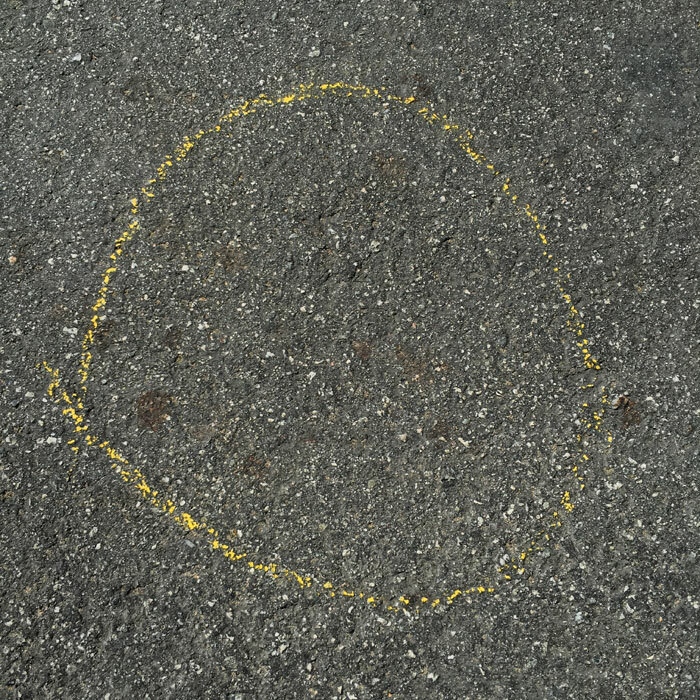 Another eyewitness posted her account on the Nextdoor blog. “I heard ‘get on the ground’ and ran to the window. 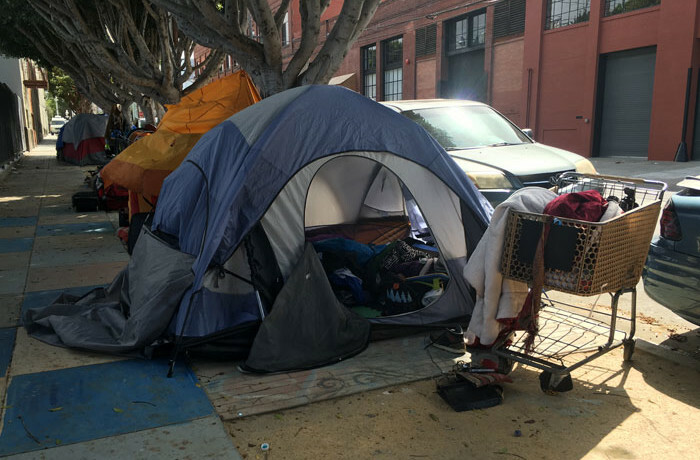 Across the street I could see the victim cowering on the ground while two police officers, one with a rifle pointed at him, approached from at least 30 feet away,” the blog post read. “To be clear, the victim was on the ground the entire time, head down, visibly shaking. 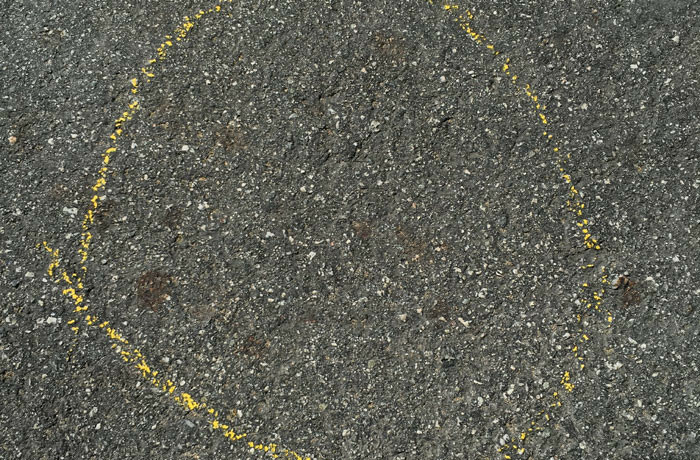 There was no visible aggressive behavior,” the blog post continued. 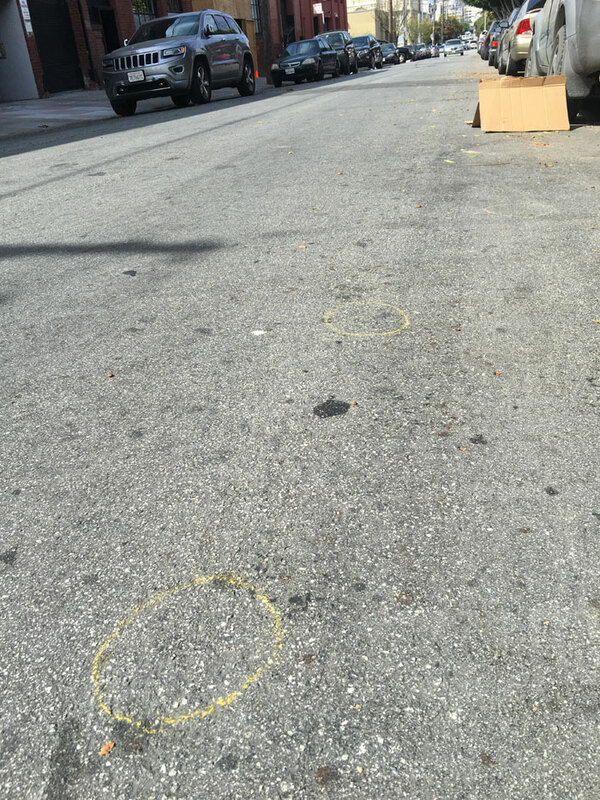 At a preliminary press conference just after the shooting at 19th Street and South Van Ness Avenue, Police Chief Greg Suhr told reporters that four bean bag casings from a non-lethal extended range impact weapon and seven casings from a .40 caliber handgun had been recovered at the scene. 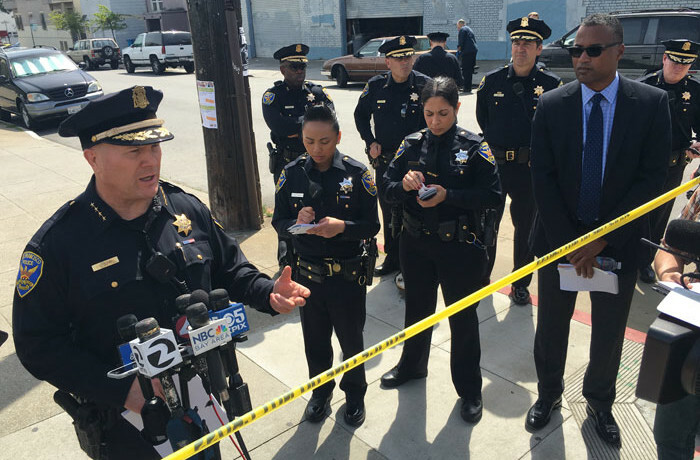 Suhr continued to tell reporters that the knife had a 10 to 12-inch blade, and that at 10:02 a.m. officers from Mission Station unit came on scene. “The next broadcast was ‘shots fired,’” Suhr said. A day after the shooting, an anonymous witness released a video to the San Francisco Chronicle, showing police responding to the scene. The video however did not capture the fatal shooting. 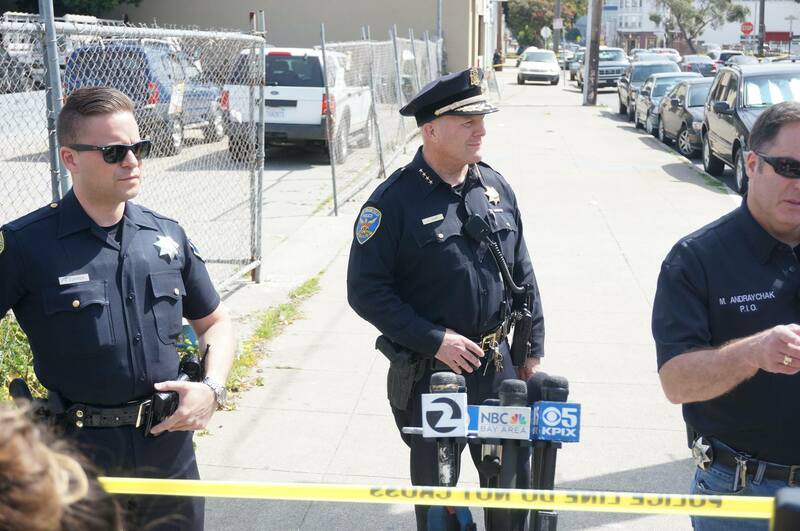 The two officers who discharged their weapons, a sergeant and an officer, along with members of the Homeless Outreach Team were interviewed after the shooting. Those interviews continued on Friday, April 8, according to the San Francisco Chronicle. At a press conference held at the San Francisco Hall of Justice, police discussed further details, including the video. 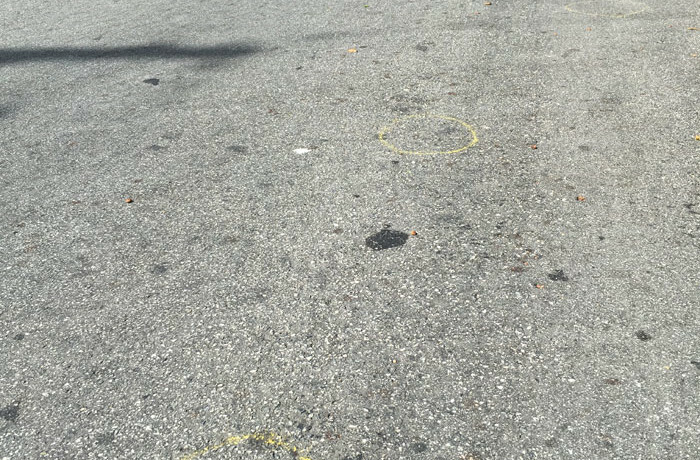 Police continue to request that anyone who witnessed or captured video of the shooting contact SFPD immediately. Community leaders, who were meeting at a scheduled town hall meeting Thursday night—the same day as the shooting—at Buena Vista Horace Mann Middle School, responded with anger. Edwin Lindo, who is running for the District 9 San Francisco Board of Supervisors seat, addressed the large crowd. “They take our homes. They undereducated us. They take our jobs. They criminalize our black and brown communities,” Lindo said. 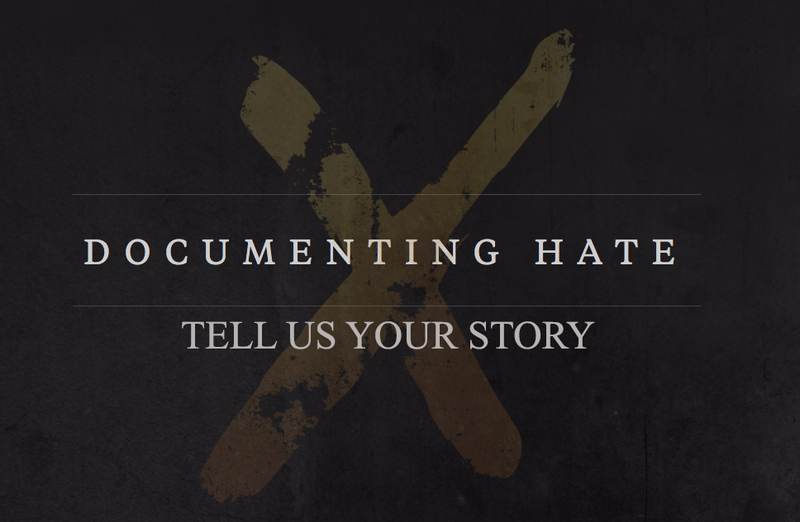 Lindo and Jones were two of the several activists and community organizers to speak from the recently united Justice coalitions for Alex Nieto, Mario Woods and Amilcar Perez-Lopez. Oscar Salinas, Karen Fleshman and Minister Christopher Muhammad of the Nation of Islam also spoke at the town hall. After the rally, many of the attendees marched from the school to the site of the shooting.